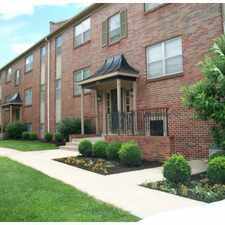 The rent at 502 S Main St ranges from $499 for a one bedroom to a $389 two bedroom. Apartments in this building are about 18% less expensive than the Warrensburg average. This is a pet-friendly apartment. This apartment is in Warrensburg. Nearby parks include Blind Boone Park, Shepard Park and Grover Park. 502 S Main St has a Walk Score of 30 out of 100. This location is a Car-Dependent neighborhood so most errands require a car. Welcome to CEV Warrensburg - the next level of student housing just a short walk from the University of Central Missouri and a baseball throw away from the Audrey J. Walton and Crane Stadiums. You're going to love our modern, amenity-rich off-campus student apartments close to the University of Central Missouri, vibrant community, and spacious clubhouse. Explore how far you can travel by car, bus, bike and foot from 502 S Main St.
502 S Main St is in the city of Warrensburg, MO. Warrensburg has an average Walk Score of 35 and has 18,838 residents.